Revisionist History will look back on misunderstood events of the past. 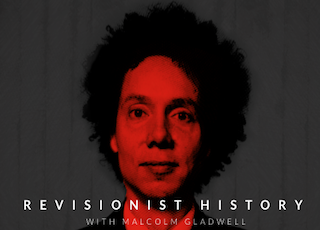 Malcolm Gladwell is moving his unique takes from the written world to the audio realm with the launch of Revisionist History, a new podcast from the Panoply network. History will feature Gladwell reexamining overlooked or misunderstood people, places and events from the past. The series debuts June 16, with a new episode every Thursday for a total of 10 weeks.